Our supporters list in under construction. Please check back as we compile the list of businesses and organisations joining us in offering a special deals to our armed forces. Beach Road, Hemsby, Great Yarmouth. Coast Road, Hopton on Sea, Norfolk NR31 9BX. 2. 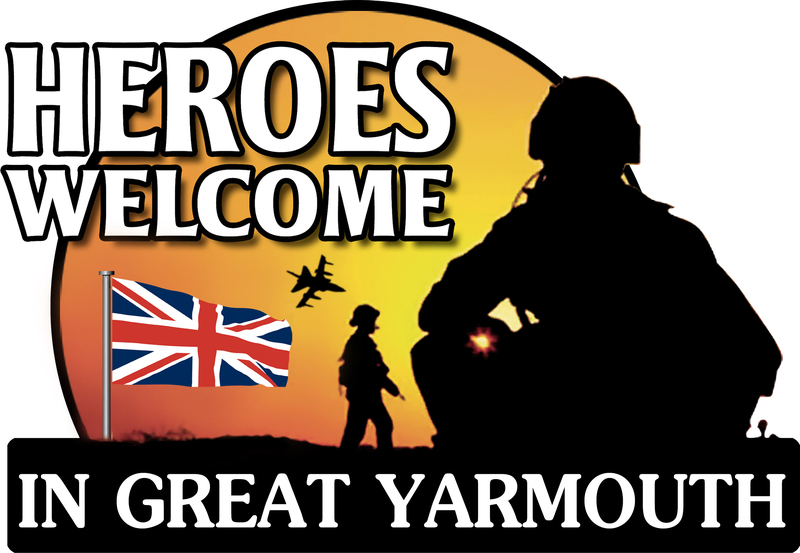 Download our Heroes Welcome Poster as a Jpeg file, a PDF or Microsoft Word file for use on your stationery or pick up your free window sticker from Great Yarmouth Town Hall and off you go! 3. If you wish to be included on our website you can register your business and offer by writing to us at: Laura Goodman, Great Yarmouth Borough Council, Town Hall, Great Yarmouth, Norfolk NR30 2QF. Please include stamped SAE.